Do you like autumn? I love this time of year, especially the period from yellow, fiery-red foliage. Probably because I have that shade of hair. Who are the "red beast"
In childhood, of course, I, like other "children of the sun" got it. In the yard and on the street – cries of their peers or older children, with plenty of comments about the color of the hair. But time passed and, somehow red color was no longer an object of ridicule. In childhood I learned not to respond to hurtful words, and then did not attach importance to this fact. Occasionally, however, we have now to catch glances of giggling girls staring at the hair, but only just. And it became interesting to me the question of the existence of redheads, is it true that they are so special, I was told the mother. The Internet at my request gave me a lot of interesting information! Let's start with the origin. There are two versions. The first is that red hair people have received from their ancestors – the Neanderthals. It is known that this kind of people and different light skin and blond hair, they inhabited parts of modern Europe and Russia and died, leaving descendants. Neanderthals were fairly bloodthirsty and violent people, cunning and resourceful, but something killed them, perhaps rebellious "homosapiens". Descendants of the red also called the Celts, a people who also had a militant character. They are firmly established in several States of Europe, took root in Russia. 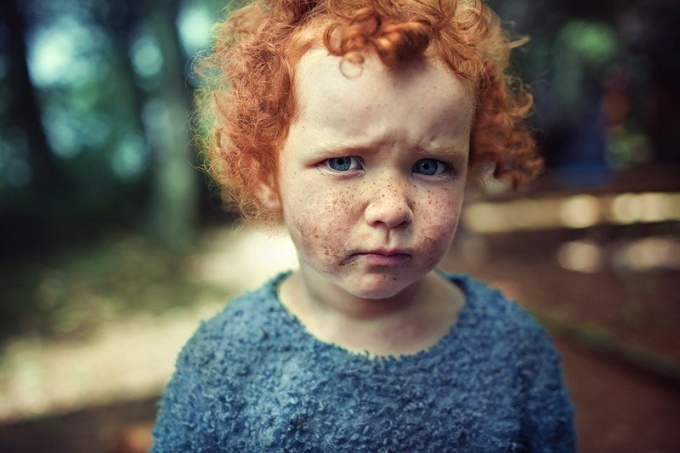 Over time, they "mixed" with other people, but their culture is revered in Britain, Ireland and Scotland, like all red-haired people. The second version of the appearance of red is a little "space" character. Scientists have determined that people with that hair color worse perceived sunlight, have a higher predisposition of getting cancer of the skin. Along with this they have a high sensitivity to pain and very susceptible nervous system. And red the smallest amount of hair on the head (about 80 thousand), but they are much thicker than blondes and brunettes. Yes, genes and some other scientists say the professors. And, besides, in the middle Ages somehow strongly against red-haired women, seeing them as witches. Although it is true that people with that hair color have psychic abilities, what has been proven. However, this is all the wisdom of scientists. Refer to the historical facts. In Ancient Egypt red-headed boys and girls were sacrificed to the God Amon-RA to a rich harvest. Fiery hair color was the color gold, healthy grain. In the troubled times of the middle Ages redheads women were checked for the presence of witchcraft. Linked the defendant the thumb of the right hand with the thumb of the left leg and threw her pond. If the accused drowned – she was innocent. If it were on the surface and tried to escape, she was waiting for the fire. In Russia, even Peter was suspicious of a red, apparently, adopting the habit of the Europeans (though not all of them were subjected to oppression "sun"). He issued a decree that people with that hair color does not have the right to hold public office and to testify in court (!). Another interesting fact of national history. The party came to power of the Bolsheviks in 1917 can be called the "party red". Lenin, his mistress, Inessa Armand, the Madame Krupskaya, Bukharin, Abel Yenukidze (large partdecal), spy Malinowski. They were all red! And, we all know what led to the revolution of 1917. On the other planet do such people come from a parallel universe or did the descendants of the Neanderthals – it seems to me that it doesn't matter. What matters is how we perceive the person, good or bad, as they say children. "Red-red, freckled" - will long be heard throughout the courtyards.